1.1 The delivery of goods to Chromsystems Instruments & Chemicals GmbH (hereinafter: "Chromsystems") and all further business connections with our suppliers shall be governed exclusively by these General Terms and Conditions of Purchase and the special arrangements entered into by the parties. For the content of any special arrangements the written confirmation by Chromsystems shall be controlling. 1.2 The General Terms and Conditions of Purchase shall only apply if the supplier is a merchant (§ 14 of the German Civil Code [BGB]), a public law legal entity or a public law special fund. 1.3 Other provisions, especially the supplier’s Standard Terms of Business, shall not apply, regardless of whether they have been expressly rejected by Chromsystems or not. Only these General Terms and Conditions of Purchase shall apply even if Chromsystems performs without reservation in full knowledge of other Terms of Business. 1.4 Legally relevant declarations and notices, which must be given to Chromsystems by the supplier after the signing of the agreement (e.g. deadline notices, warnings, declarations of rescission) must be in written form to be valid. 2.1 Purchase orders placed by Chromsystems shall be legally binding only if issued in writing by authorized representatives of Chromsystems' purchasing department. 2.2 The supplier must inform Chromsystems of obvious errors (e.g. typographical or arithmetic errors) and of the incompleteness of the order, including the order documents, before acceptance for purposes of correction or supplementation; otherwise no contract shall be deemed to have been formed. 2.3 Purchase orders issued by Chromsystems are to be accepted by the supplier within one week. Thereafter, Chromsystems shall no longer be bound by the respective purchase order. 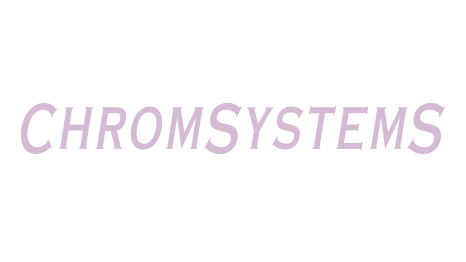 2.4 The purchaser shall expressly notify Chromsystems in writing, if the supplier accepts a purchase order issued by Chromsystems on the basis of different terms. In this case the contract shall only come into force upon receipt of written consent from Chromsystems. 2.5 No remuneration shall be made nor costs reimbursed in respect of visits or the preparation of cost estimates, project studies or other documentation preparing the conclusion of the contract. 3.1 Delivered goods shall comply with the agreed quality, state of the art, applicable statutory rules and official regulations as well as the rules of professional and trade associations and organizations and satisfy the functions as described. 3.2 Delivered goods shall be free from defects of title, in particular patent, copyright or other commercial property rights held by third parties in the member states of the European Union or in the agreed destination country, nor shall patents, copyright or other third party commercial property rights be infringed, especially not as a result of the delivery and use of the goods. 4.1 Goods shall be delivered at the supplier’s expense and risk. Risk shall be transferred upon delivery to the receiving location notified by Chromsystems during business hours. 4.2 Shipping shall be at the supplier’s risk. The supplier shall bear the risk of the goods being lost, damaged or destroyed up until the time they are delivered. This shall apply even if the shipping is at Chromsystems' behest. 4.3 The order numbers and other agreed information shall be provided in full on all dispatch notes, bills of lading or other delivery documents, invoices or other correspondence. 4.4 Agreed delivery periods and dates shall be binding. For compliance with delivery periods and dates on the part of the supplier the date the goods were received at the delivery address notified by Chromsystems is decisive. 4.5 In the event of late delivery, Chromsystems shall be entitled to a contractual penalty of 1 % of the consignment value for each week of the delay but not exceeding 5 % of the consignment value in total. This shall not prejudice Chromsystems' right to claim further damages but the contractual penalty will then be offset accordingly. 4.6 Chromsystems shall not accept deliveries prior to the agreed delivery periods or dates. Chromsystems shall reserve the right to return the goods at the supplier's expense and risk. If the goods are not returned, they shall be stored at Chromsystems at the supplier's expense and risk until the agreed delivery periods or dates. 4.7 Chromsystems shall accept part deliveries only in case of a special agreement to do so. In this case, the supplier shall be required in each case to state in the delivery documentation exactly what part of the delivery is still outstanding together with its delivery period or date. 4.8 In the event that the supplier becomes aware of circumstances according to which the delivery periods or dates cannot be complied with, the supplier shall notify Chromsystems immediately in writing, stating the reasons for the delay as well as its prospective duration. This shall be without prejudice to the agreed delivery periods and dates. 4.9 Chromsystems shall be entitled to change the time and place of delivery and the type of packaging at any time by giving written notice within a period of at least 3 calendar days before the agreed-upon delivery date. The same shall apply to changes of product specifications, as long as they can be implemented within the supplier’s normal production process without substantial additional time. In such cases, the notice period in accordance with the previous sentence shall be at least 3 calendar days. Chromsystems shall reimburse the supplier for documented, reasonable additional costs incurred due to the change. If such changes cause delays in delivery, which cannot be avoided by reasonable efforts in the supplier’s normal production and business operations, the originally agreed-upon delivery date shall be postponed accordingly. The supplier shall notify Chromsystems in writing of the additional costs or delays in delivery to be anticipated in its careful estimation in due time before the delivery date, but at least within 3 business days after receipt of the notice in accordance with Sentence 1 of this subsection. 4.10 The supplier is not authorized to have the services it owes performed by third parties (e.g. subcontractors) without the prior written consent of Chromsystems. The supplier shall bear the quality risk for its services, unless otherwise agreed in an individual case (e.g. restriction to goods in stock). 4.11 Deliveries shall be effected freight paid and duty paid (DDP Incoterms 2010). If the destination is not specified and there is no other agreement, delivery shall be made to the head office, Am Haag 12, in 82166 Gräfelfing. The destination is also the place of performance for the delivery and any supplementary performance (obligation that the debtor must perform at the creditor’s address). 5.1 The agreed prices are fixed prices plus statutory value-added tax inasmuch as the latter is shown separately on the invoice. Prices also include delivery, packaging and all extras (e.g. assembly, installation, including transport and liability insurance). The price indicated in the order is binding. 5.2 To the extent that the agreement reached does not include the price of the packaging, and the compensation for the packaging – which has not merely been loaned – has not been expressly determined, the verifiable cost price shall be charged. At the request of Chromsystems, the supplier must take the packaging back at its own expense. 5.3 Invoices are to be sent in duplicate to the invoice address stated on the purchase order. It is not permitted to send an invoice prior to the goods being dispatched or together with the goods. 5.4 Invoices can only be processed by Chromsystems if Chromsystems' purchase order number is exactly depicted. Inaccurate or incomplete invoices shall be deemed not to have been received until they have been corrected or the missing information has been added; in this event, Chromsystems shall notify the supplier within a reasonable period. 5.5 Payment shall be within 14 days of delivery of the goods (including a potentially agreed acceptance) and receipt of the invoice with a 3 % prompt payment discount. Alternatively, at Chromsystems' choice, payment shall be made within 30 days after delivery of the goods and receipt of the invoice. 5.6 For the payments owed by Chromsystems to be timely, it shall be sufficient if the transfer order is received by the transferring bank in a timely manner. 5.7 Chromsystems shall owe no interest after the due date. The statutory provisions shall apply in the case of payment default. 6.1 In the event the supplier has reserved title in delivered goods, this reservation of title shall only apply until payment for the goods and if Chromsystems has not already become the owner of these items through processing, combination or commingling. Chromsystems does not recognize current account and group retention. 6.2 Chromsystems shall not assign claims in respect of the resale of goods subject to retention of title in order to secure the receivables due from the purchase price. Chromsystems shall not be obliged to uphold the supplier’s rights arising from reservation of title of any kind with respect to third parties. 6.3 Retentions of ownership by the supplier shall only apply to the extent that it relates to Chromsystems’ payment obligation for specific products of which the supplier retains ownership. In particular, expanded and extended retentions of ownership are impermissible. 7.1 Chromsystems’ rights when there are defects of quality and legal defects with respect to the goods (including wrong delivery and short delivery, improper installation, deficient installation instructions or operating instructions) and for other breaches of obligation by the supplier shall be subject to the provisions of law, unless otherwise agreed below. 7.2 The product descriptions that – particularly through designation or reference in the order – are part of the subject matter of the agreement or have been incorporated into the agreement in the same way as these General Terms and Conditions of Purchase, shall be deemed to be agreed-upon qualities in the statutory sense. It makes no difference whether the product description originates with Chromsystems, the supplier or the manufacturer. 7.3 Contrary to § 442 (1) Sentence 2 BGB, Chromsystems shall be entitled to assert claims for defects without restriction, even if the defect was unknown to Chromsystems at the time of the signing of the agreement as a result of gross negligence. 7.4 Chromsystems' responsibility to inspect deliveries shall commence upon delivery of the goods. Chromsystems shall report obvious defects to the supplier within two weeks of the goods being delivered. Chromsystems shall report other defects to the supplier within two weeks of them being discovered. 7.5 Chromsystems can also assert statutory claims for defects in regard to guarantees given by the supplier. In case the supplier has assumed a guarantee, strict liability applies. 7.6 In the case of epidemic failures (failures of the same type that are found to exist in at least 5 % of the goods delivered) Chromsystems shall be entitled to reject the entire consignment as being defective and assert a statutory claim for defects in respect of the entire consignment. 7.7 Chromsystems does not waive warranty claims by accepting or approving models or samples that have been submitted to it. 7.8 The running of the statute of limitations is tolled by receipt of a written notice of defect by the supplier, until the supplier rejects Chromsystems’ claims or declares the defect eliminated or otherwise refuses to continue negotiations regarding the claims. If the defective item is replaced or the defect is eliminated, the warranty period for the replaced or repaired parts begins to run again, unless the supplier’s conduct indicated to Chromsystems that the supplier did not consider itself required to take the measure, but that it only did so as an accommodation or on similar grounds. 7.9 For goods newly delivered in the context of subsequent performance, the limitation period shall recommence from the time the subsequent performance is made unless the subsequent delivery appears minor in terms of scope, duration and cost or Chromsystems is forced to assume from the supplier’s behavior that the latter did not see themselves as being obliged to perform this action but only did so as a goodwill gesture or for similar reasons. The same shall apply in the case of rectification where the same defect or consequences of a defective repair are concerned. 7.10 In the case of part deliveries, Chromsystems shall be entitled to withdraw from the purchase order if a minimum of two defective part deliveries were made. The supplier agrees to indemnify Chromsystems and its customers against all third-party claims asserted due to an infringement of patent, copyright or other industrial property rights, to the extent that this is attributable to the fault of the supplier. Additional warranty claims shall remain unaffected. 9.1 In the event that claims are brought against Chromsystems as a result of official safety requirements or national or foreign product liability laws and regulations having been infringed by defects in Chromsystems' products where such defects are attributable to the delivery of defective goods, the supplier shall be obliged to indemnify Chromsystems against such claims inasmuch as the damage is attributable to the supplier’s area of responsibility or organization and he himself is liable in relation to third parties; this indemnity obligation shall take effect upon first request. 9.2 In the event of a product recall involving third parties, the supplier shall be obliged to reimburse Chromsystems the costs associated with the product recall inasmuch as the product recall is attributable to the supplier’s area of responsibility or organization. Chromsystems will inform the supplier of the nature and scope of product recall operations and give him the opportunity to respond. 9.3 The supplier shall, at its own expense, purchase and maintain product liability insurance with a lump-sum insured amount of at least EUR 5 million per personal injury/property damage. 10.1 Contrary to § 438 (1) No. 3 BGB, the general limitation period for claims for defects shall be 36 months from delivery of the goods. To the extent that an official acceptance has been agreed upon, the limitation period shall commence with official acceptance. The limitation period shall also apply mutatis mutandis to claims based on legal defects. The statutory limitation period for third-party in rem claims for surrender of the goods (§ 438 (1) No. 1 BGB) shall remain unaffected. Moreover, claims based on legal defects shall not be time-barred as long as a third party can still assert the right against Chromsystems – particularly because it has not become time-barred. 10.2 The limitation periods under sales law, including the above extensions shall apply – to the extent required by law – to all contractual claims for defects. Insofar as Chromsystems is also entitled to extra-contractual claims for damages due to a defect, the regular statutory limitation periods shall apply to them (§§ 195, 199 BGB), unless the application of the limitation periods under sales law provide a longer limitation period in an individual case. Set-off and exercise of a right of retention by the supplier due to contested counterclaims or counterclaims which are not final or res judicata are excluded. The exercise of any retention right by the supplier is also excluded to the extent that the counterclaims are not based on the same contractual relationship. Without Chromsystems' prior written consent, the supplier shall not assign its rights and obligations, neither in part nor in whole. Chromsystems shall be permitted to assign its rights and obligations, notably to affiliated companies within the meaning of section 15 of the German Stock Corporation Act (AktG). 13.1 The supplier shall not disclose the terms of the order and all information and documents of which it has become aware in this regard (with the exception of information accessible to the public) for a period of two years after the signing of the agreement and shall only use it to execute the order. Upon request, the supplier shall promptly return such information to Chromsystems after answering inquiries or processing orders. 13.2 The supplier may not make reference to the business relationship in advertising materials, brochures, etc., without the prior written consent of Chromsystems. 13.3 The supplier shall impose the requirements of this Section 13 on its sub-suppliers. 14.1 The applicable law shall be that of the Federal Republic of Germany, excluding the UN Convention on Contracts for the International Sale of Goods (CISG) and the referral rules of the German Law of Conflicts. 14.2 The exclusive place of jurisdiction shall be Chromsystems' registered office. Chromsystems shall however also be entitled to sue the supplier at the latter’s registered office. 14.3 The German version of these General Terms and Conditions of Purchase shall alone be controlling. Should individual provisions of these General Terms and Conditions of Purchase be or become unenforceable, the remaining provisions shall remain enforceable.